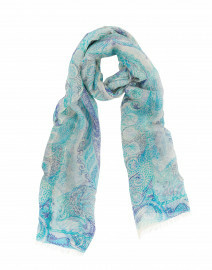 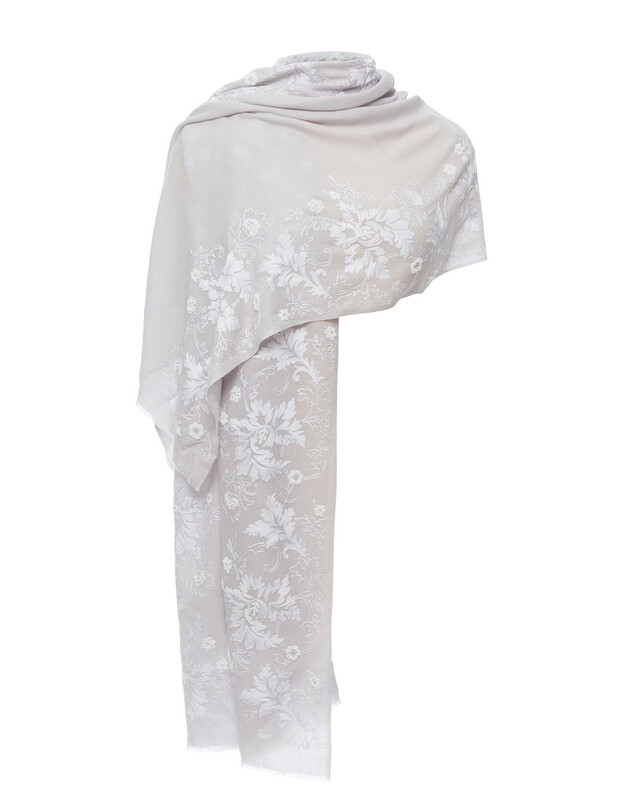 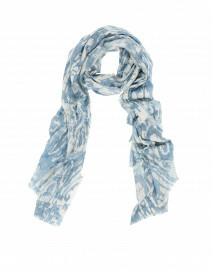 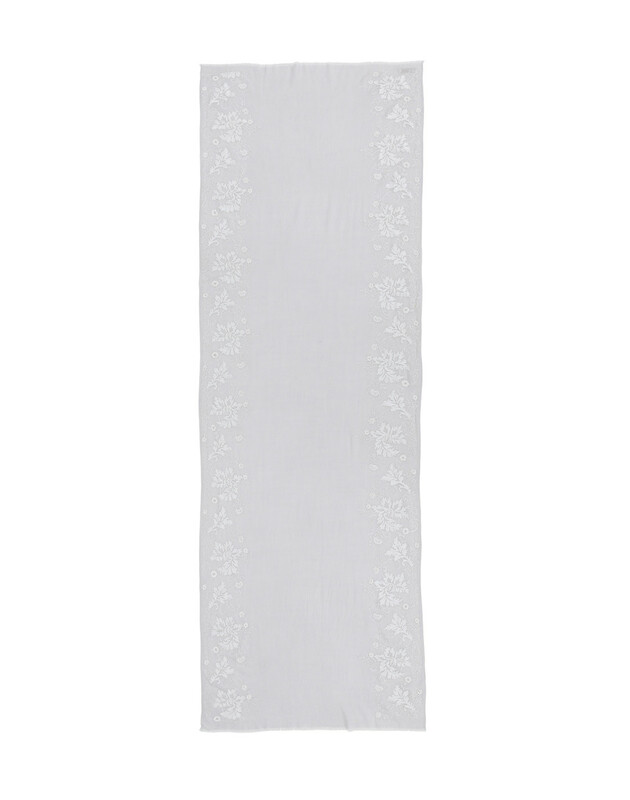 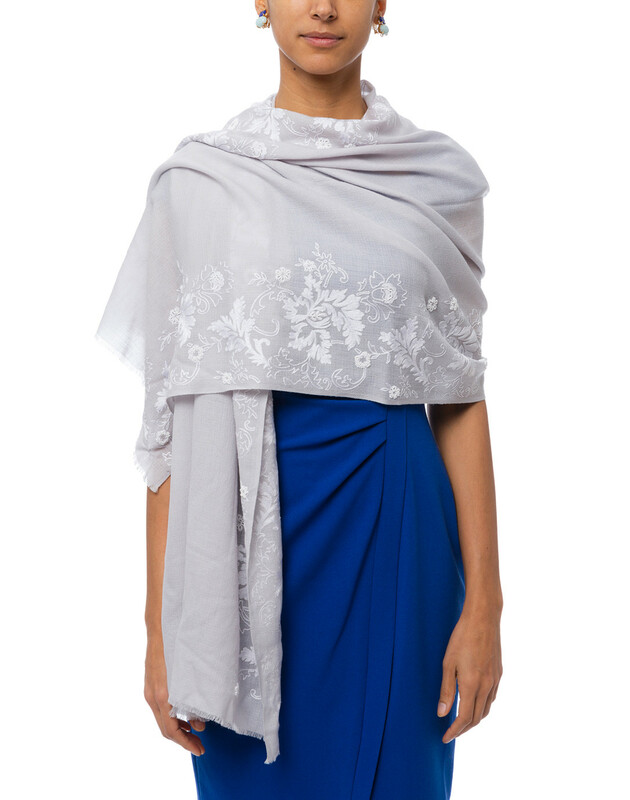 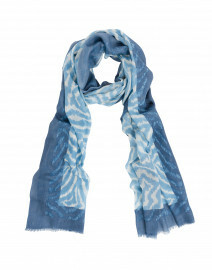 Invigorate your occasion-wear offering with Janavi's pale blue merino wool shawl. 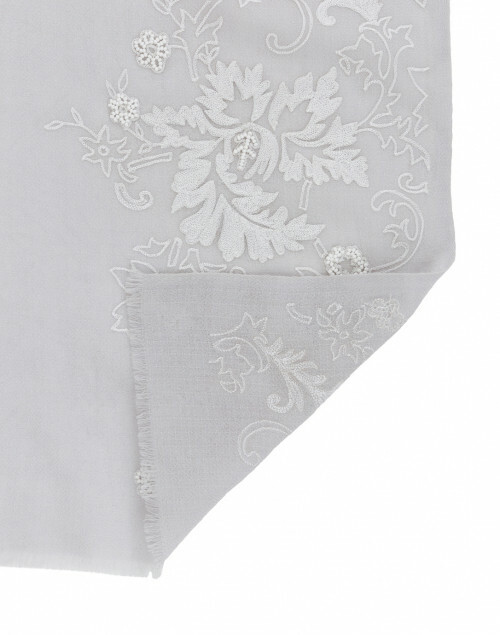 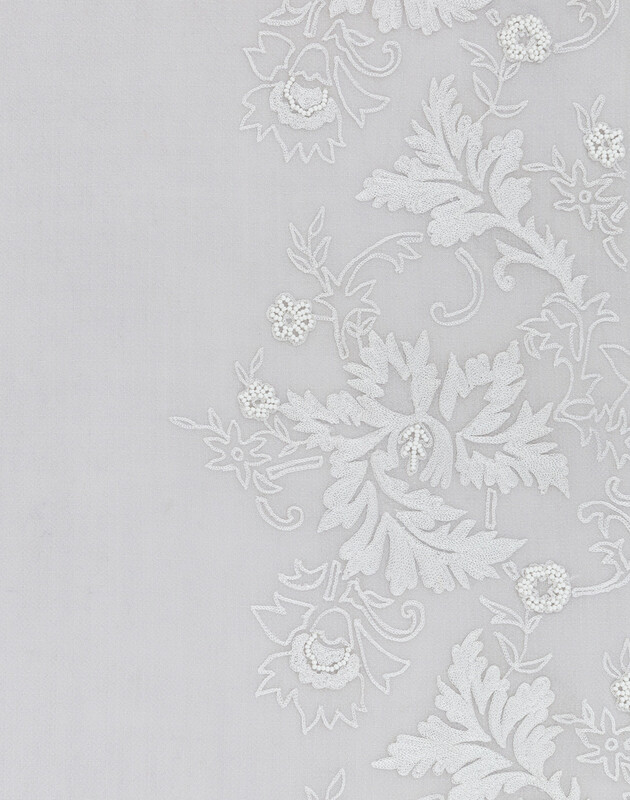 Crafted in India, it features a hand embroidered white floral pattern and an eyelash fringe trim. 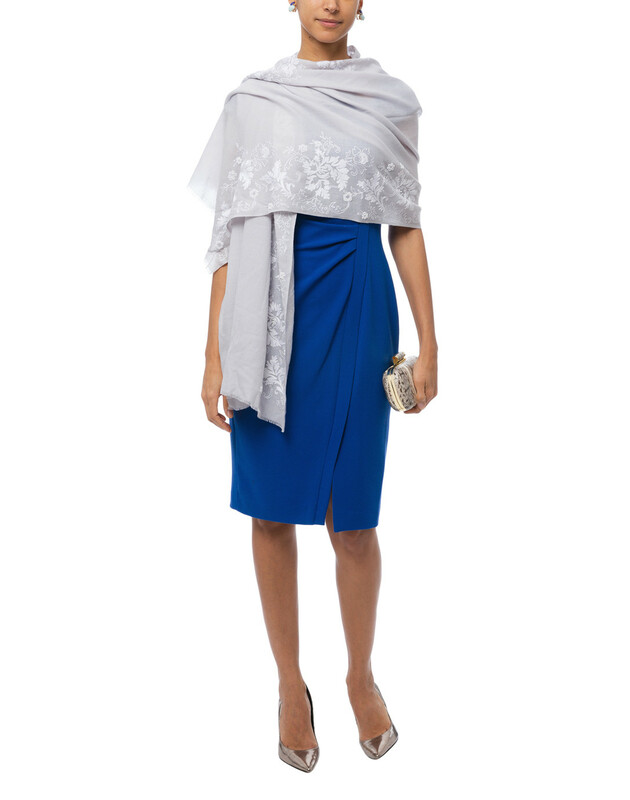 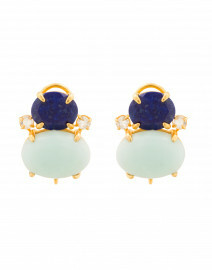 Pair it with a blue dress for a sophisticated evening look.